Chambers Island provides vital stopover habitat for migratory birds. The island is dominated by hardwood and cedar forests with contiguous canopy, an inland lake called Mackaysee, and wetlands including a leather-leaf muskeg (bog), the only one of its kind in Door County. Protecting Chambers Island was recognized as a priority during joint conservation planning sessions with the Wisconsin Department of Natural Resources, The Nature Conservancy and others. The 8,000 acres protected by the Door County Land Trust are the result of several land protection methods that create corridors of conserved lands benefitting native plant and wildlife species. The Land Trust owns and manages 15 nature preserves and 24 natural areas, which comprise about 4,100 acres protected. Additionally, 3,200 acres are permanently protected through conservation easement agreements with private landowners. An additional 700 acres have been protected and transferred to other organizations for ongoing care. Thanks to a fruitful partnership with the Chambers Island Nature Preserve Committee and the Chambers Island Association, generous donations to the Door County Land Trust from individuals and private foundations account for nearly 40% of the funds raised for the project to date. These donations have been matched by funds provided through the State of Wisconsin DNR Knowles-Nelson Stewardship Fund Grant Program, the Fox River Natural Resource Damage Assessment funds and North American Wetland Conservation Act Grant Funds. Fundraising for the Chambers Island Nature Preserve continues as additional land and the needs for the ongoing care of the nature preserve are identified. The Door County Land Trust’s mission is “To protect Door County’s exceptional lands and waters…forever.” It is a nonprofit, community-based organization that actively works to conserve land via the purchase or acceptance of donations of land or conservation easements. 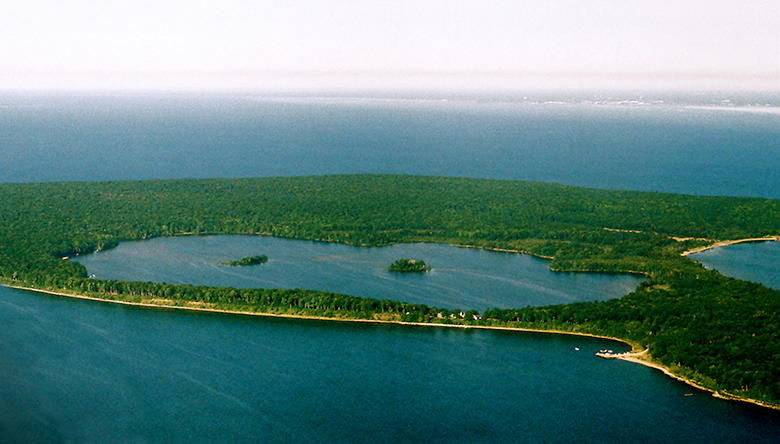 Founded in 1986, the Door County Land Trust has protected more than 8,000 acres from Washington Island through southern Door County.